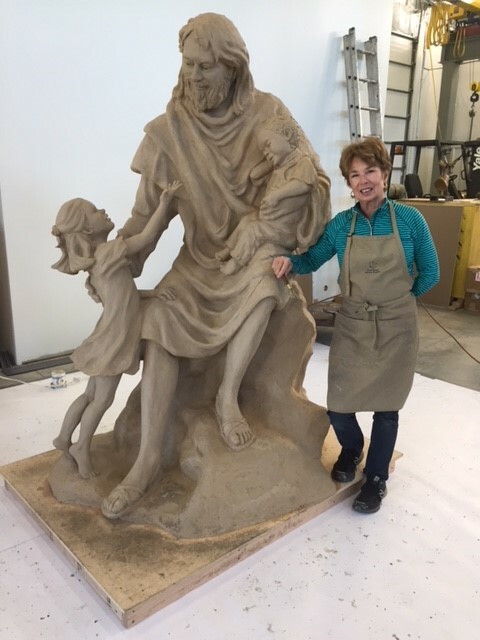 As I sculpted this seven-foot figure of Jesus, I endeavored to project his compassion, his strength, and his great love for us as children of God. I love the fact that Jesus is giving his full attention to the young girl reaching up to him either with her needs or in adoration and gratitude. He meets us on an individual basis no matter where we are in life. The other child is sleeping with secure confidence in his arms. It is my hope that this sculpture will be a ministry wherever it is placed.